Combining Kratom and Alcohol – Is It Safe? 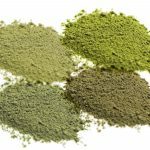 Many people who use Kratom, or think about starting to use it, wonder about the safety of using both Kratom and alcohol at the same time, and they are often met with completely different answers. The question of safety comes up pretty often and, not being provided with a definitive answer, Kratom users are left to try it out on their own and determine the answer they are looking for due to their own experiences. If you are reading this, it is safe to assume you are looking for the answer to that question as well, and you have come to the right place. Take a look at the basic information on that matter that is certain to clear some misunderstandings and help you make a decision about combining Kratom and alcohol. The effects of taking both Kratom and alcohol at the same time can vary depending on many factors. Each and every person will experience different effects due to their body weight, their general health and their metabolism, as well as the nature of their meals throughout the day, to name just a few factors. Nonetheless, there are two different effects which you could experience. Namely, you could experience longer-lasting results, as alcohol may enhance the effects of Kratom and, thus, make it more potent. On the other hand, alcohol may dull the effects of Kratom and even cause certain side effects, such as headaches and nausea. And, you may experience a Kratom hangover, as well as an alcohol hangover. Therefore, the effects of combining alcohol and Kratom are a completely subjective matter and you cannot really know how your body would respond to the combination of the two until you try it yourself. However, should you try it at all? Alcohol is a depressant, whereas Kratom can act both as a depressant and a stimulant, depending on the type of strain you decide to use, as well as the dosage. Therefore, the best option would be not to combine the two since, by using only Kratom, you would not cause any strain on your nervous and respiratory systems and you would experience only the best Kratom effects. Kratom soothes those receptors in the body that crave opioids, thus leaving you with no desire for alcohol whatsoever. This is why Kratom is very effective for breaking drug addictions and relieving opiate withdrawals. Therefore, by steering away from alcohol while using Kratom, you will experience only the best benefits of this all-natural herb. Is it safe to combine the two? Yes, but provided that you don’t want to risk experiencing any potential side effects, but instead be able to completely enjoy Kratom, you might want to leave alcohol for later. Consume Kratom responsibly and take care of both your body and your overall health.